More Goings on In Andes this Summer! | Andes Works! More Goings on In Andes this Summer! 10 beautiful Andes gardens. Pick up your map at the Andes Public Library on Main Street (Route 28) from 11 a.m. on. $10 donation. Free! See where art is made! Enjoy the inspirational countryside that inspires the art. Visit 22 studios of sculptors, painters, weavers, and more! See work in leather, clay, mosaics, paper, stone and steel! Visit www.AMROpenStudios.org for more information on the artists, directions to their studios, and our sponsors. Watch for the Open Studio signs marking each stop. 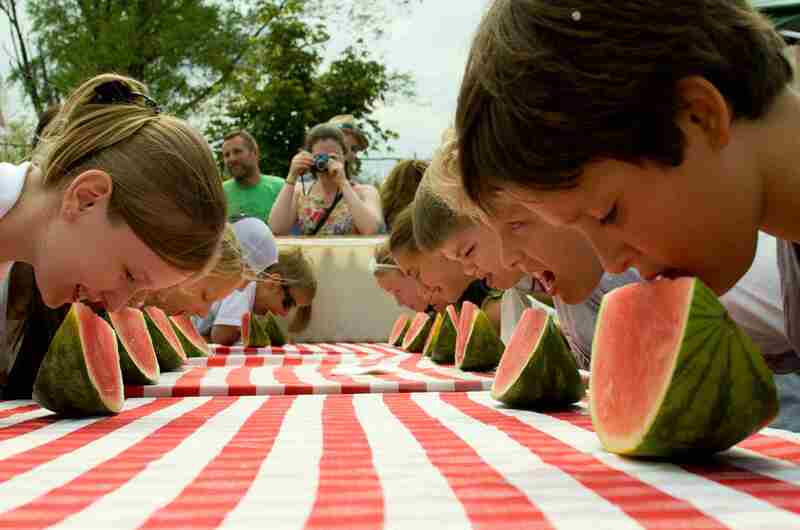 Tons of vendors, food, games for kids, games for adults, great galleries and shops, live music by Country Express and Just Throw Money, a Watermelon Eating Contest, clowns, a Corn on the Cobb Eating Contest and more fun than you can handle. Saturday, September 8, All Day Long! 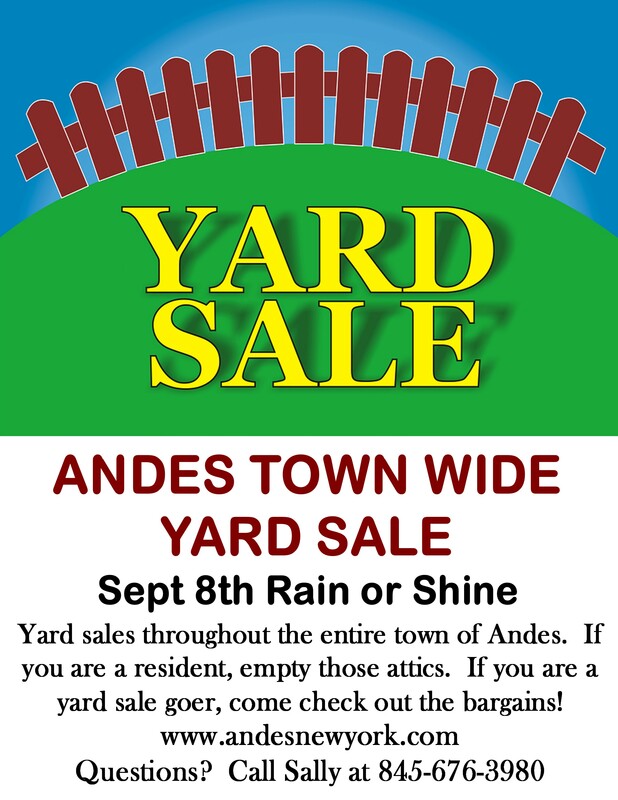 Andes is hosting a town wide yard sale! If you are a resident, empty those attics and make some money! If you are a yard sale goer, you are not going to be disappointed here! Andes residents are known for hanging on to some wonderful treasurers! While you are here, pop into the Andes Hotel for their Chili CookOff! 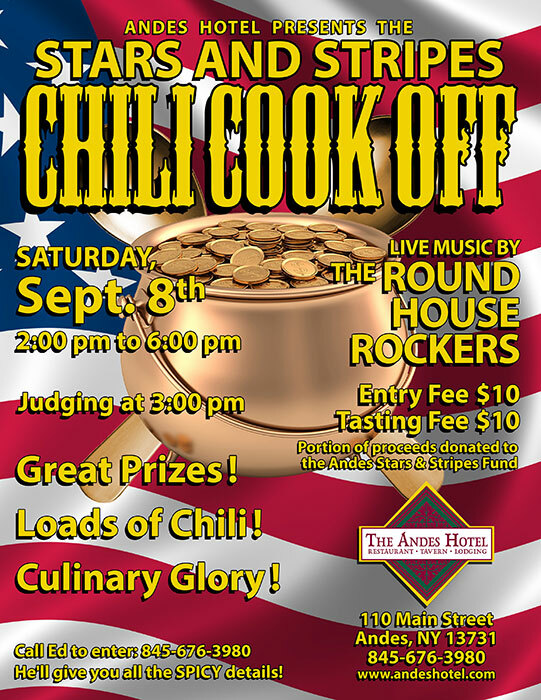 The Andes Hotel is hosting their Third Annual Chili Cook Off on Sept 8th, which coincides with the Town Wide Yard Sale. Come down to taste or enter yourself for a chance to be crowned the Catskill’s Chili cooking Grand Master. We’ve got live music by Round House Rockers and loads of chili, great prizes and culinary glory!!! $10 to enter and $10 at the door for tasting. For information or to enter call Ed @ The AndesHotel @ (845)676-3980 or email us at edchef1850@yahoo.com. He’ll give you all the spicy details! Portion of proceeds donated to the Andes Stars & Stripe Fund which provides the flags and flowers for the village. 1 Response to More Goings on In Andes this Summer! 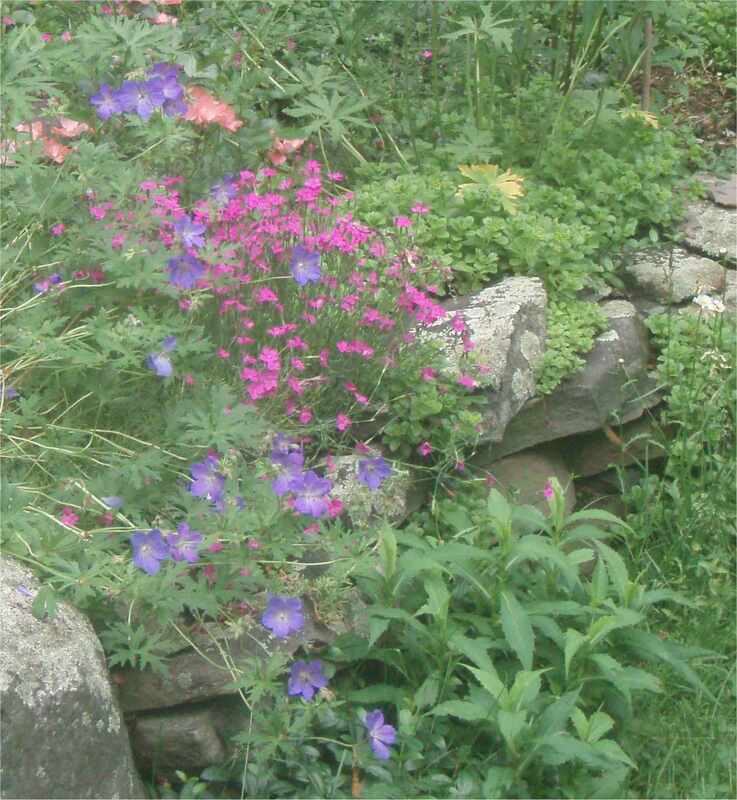 Pingback: Lots more fun in Andes through the summer! | Andes Works!